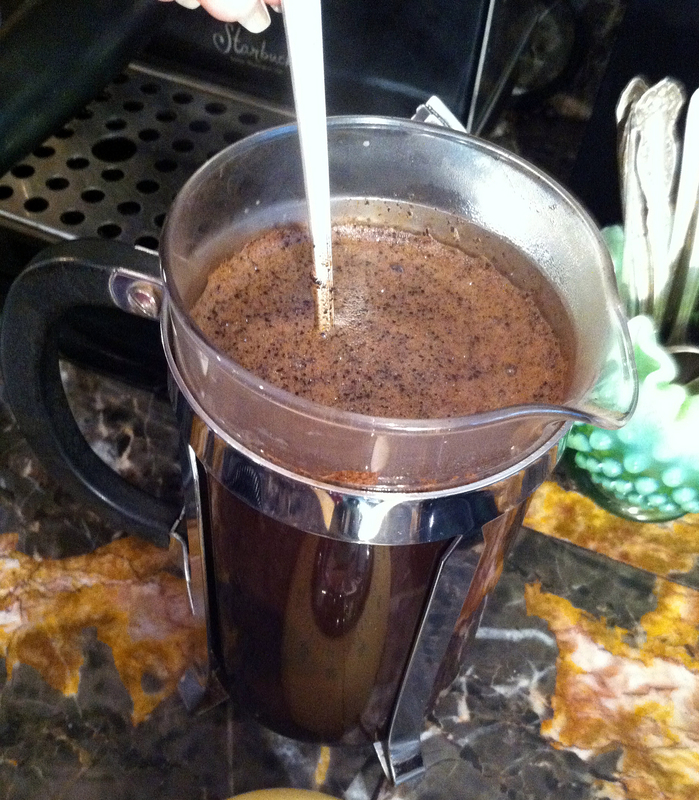 The BEST Cup of Coffee Ever…and YOU Made it! Here’s how. 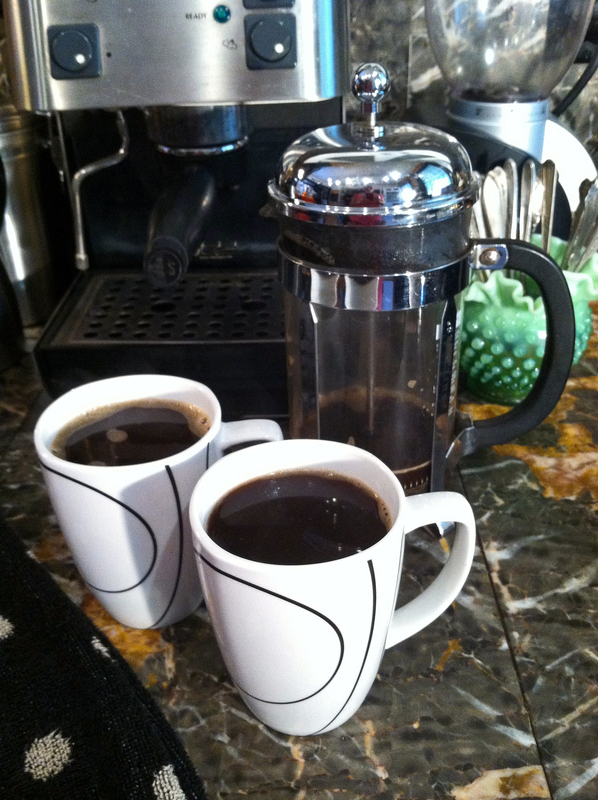 Plus WIN FREE COFFEE FOR A YEAR From Pablo’s Coffee! Ah Java, that elixir of the Gods. If you’re a fellow devotee of the mighty bean, then you feel me. Life is simply too short for a crappy cup of coffee. But there is hope. 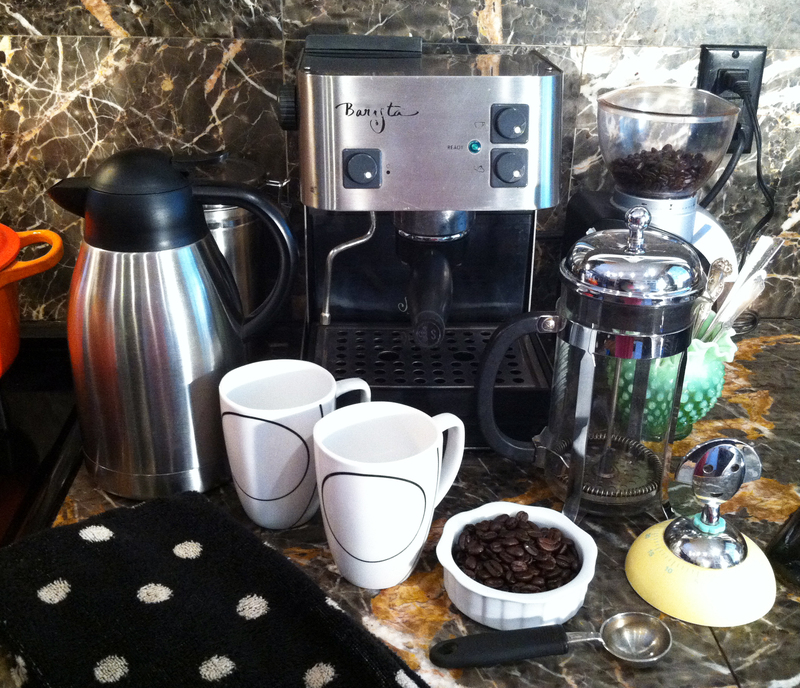 You can actually make the best coffee you’ve ever had, yourself, at home, with just a little guidance. Not only does it taste great, but it’s also way cheaper than going to your local Starb#@ks. #4 Good water. Use filtered water, it really does make a difference. 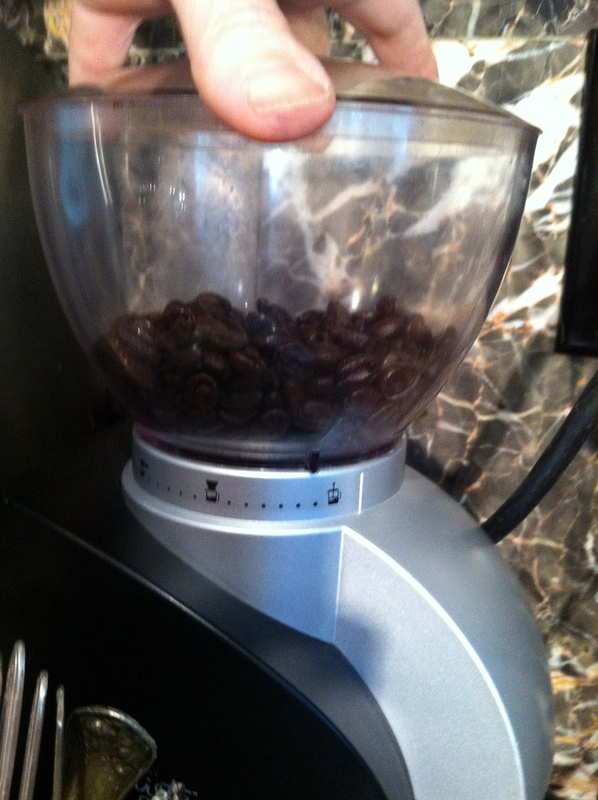 Start your water to boil on the stove, then grind your beans in your burr grinder. 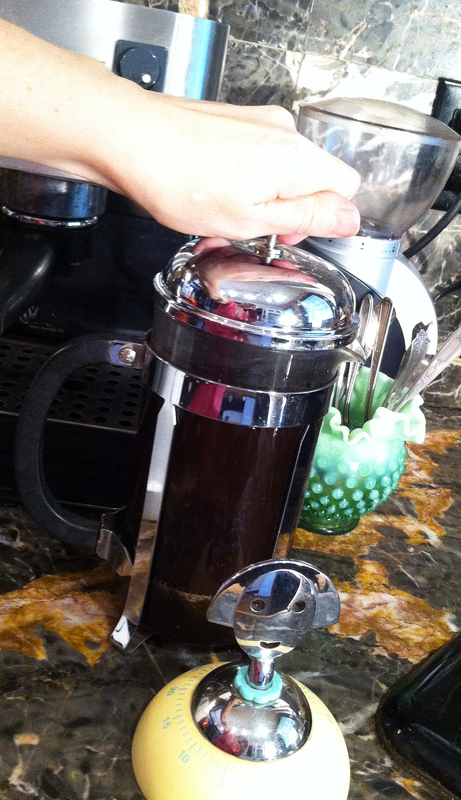 Be sure and double-check that it is set to the “french press” setting. When your water starts boiling, turn off the burner and let it sit for just a second. Don’t pour boiling water over the grounds. (and don’t let it sit longer than a few seconds or it will cool off too much). Pour the hot water steady, slow and even to fully saturate the grounds. Don’t fill to the top, but to the bottom of the “ring” on the press. (Otherwise you’ll just make a big mess when it’s time to plunge). 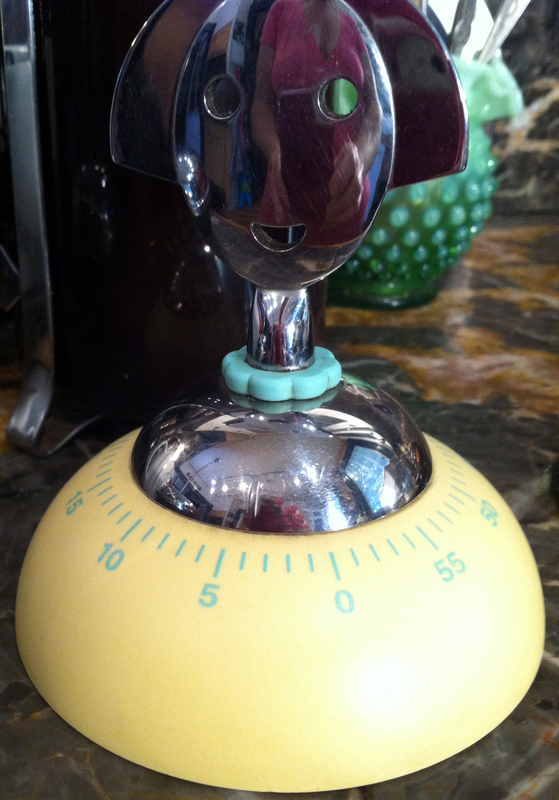 At four minutes, it’s time to push down the plunger. Move slow and steady until it reaches the bottom. 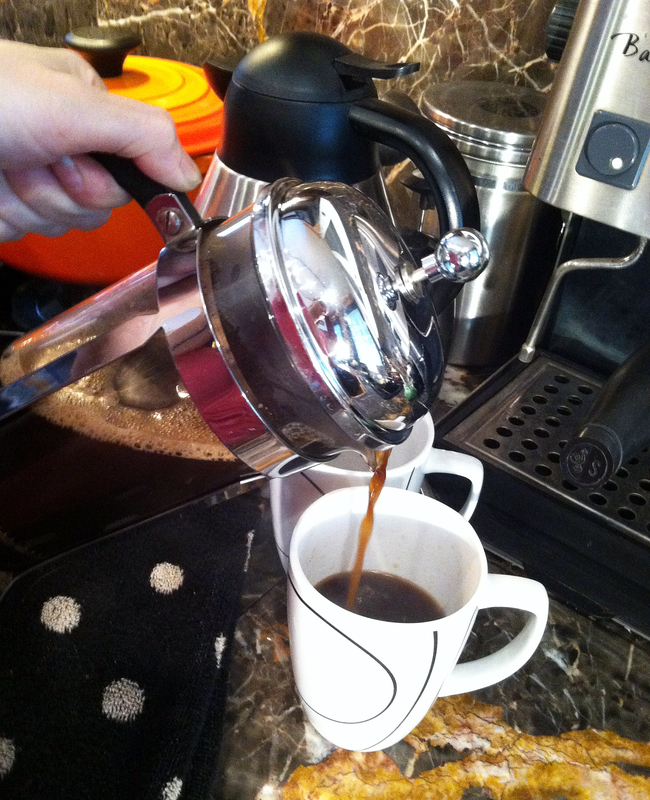 Now it’s time to pour and enjoy your delicious coffee however you like. (I like it with a little agave and half n half, my man drinks it black) Be sure and pour right away, don’t let your coffee sit in the press or it will turn bitter. 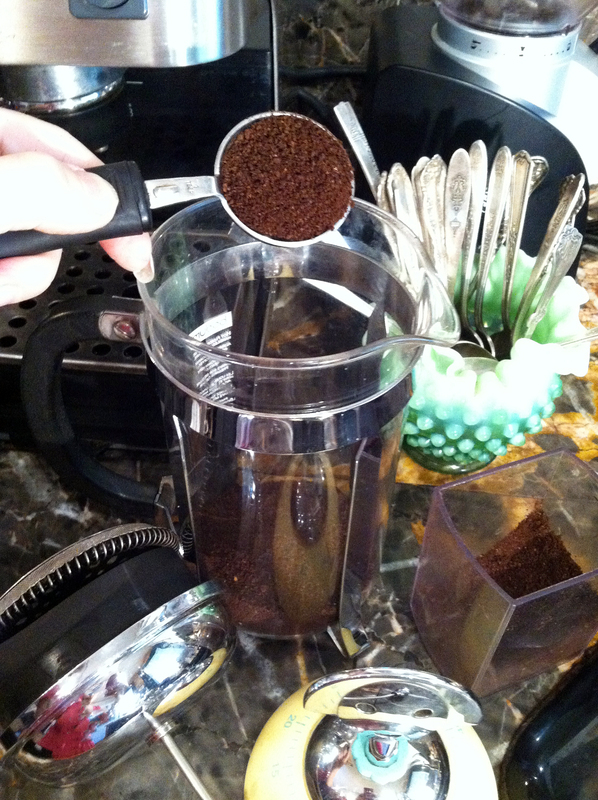 If you are not planning to drink it all right away, pour the extra into a carafe to keep it warm. WE HAVE A WINNER!! Congratulations Anna Newell Jones! You’ll be enjoying fabulous Pablo’s Coffee for the next year, gratis! Enjoy, and thank you all who entered the contest! This entry was posted in coffee, Denver, food, home, lifestyle, shopping and tagged Aeropress, automatic coffee maker, bargain hunting, budget, burr grinder, burr grinders, Chemex, coffee, coffee at home, coffee coupons denver, coffee deals denver, Denver, denver coffee, denver coffee roasters, espresso, free coffee denver, french press, fresh coffee, how to grind coffee, how to make coffee at home, make great coffee, Pablo's coffee, roasted coffee beans, win free coffee. Bookmark the permalink. I drink a LOT of coffee. A lot. 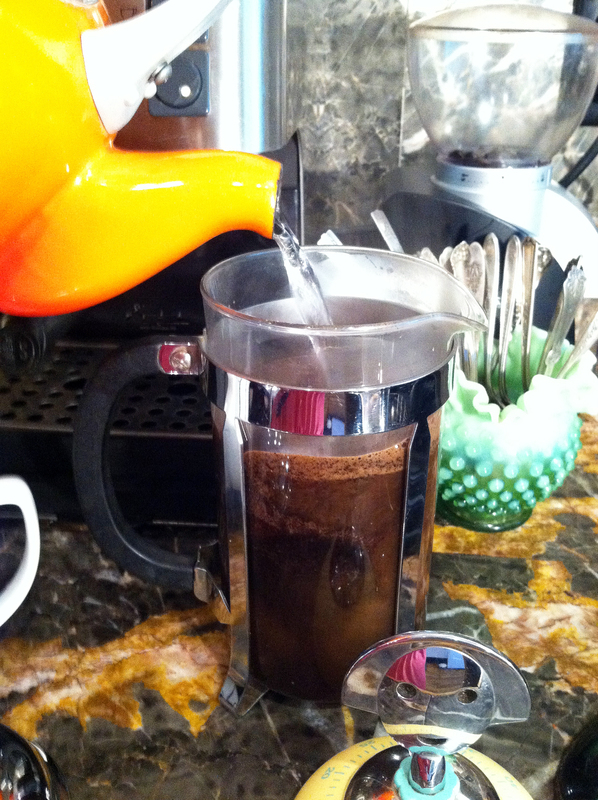 I can honestly say I have never had a cup of coffee made in a French Press that I enjoyed. Sorry, I’ll stick with my own way. Would love to win this! I’ll have a newborn soon so I’ll need lots o’ caffeine! *fingers crossed! 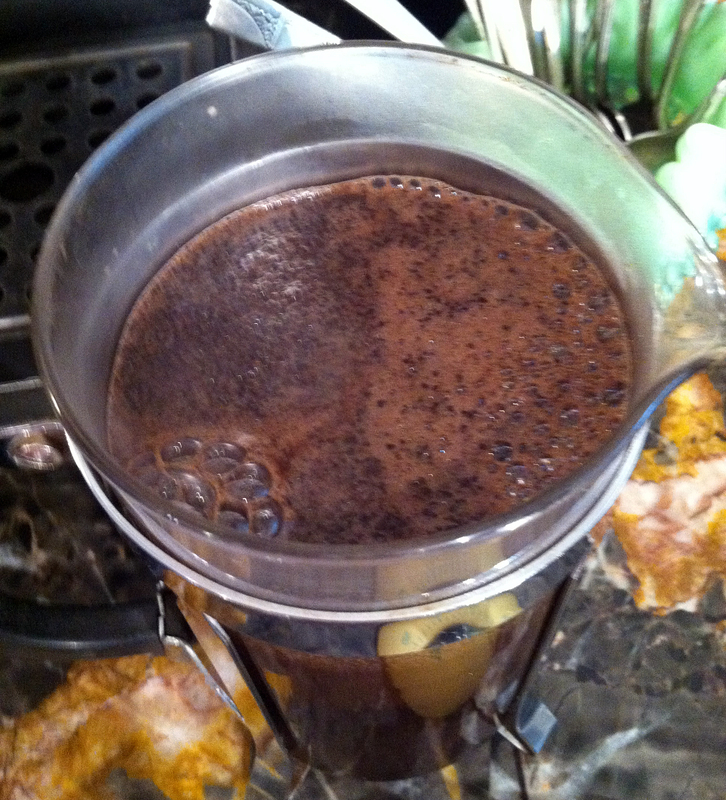 * & I LOVE french press coffee… it’s the best. i’d love to win this giveaway! i’ll have a newborn soon and will need lots o’ caffeine! *fingers crossed*!